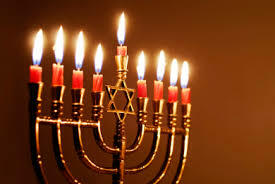 It is no longer the 8th day of Chanukah; nevertheless, the Light is Endless and if you made the proper connections the residue of light still shines within you and we can still share Chanukah gifts. The Light is Endless, and we cannot separate the Light from the Endless. The Endless is a place and it is infinite; it is infinity. The Light is the Creative force of G-d; it is the Creator. The Creator is Infinity. As scientists are coming to understand, the universe is a matrix of infinite parallel universes and Infinity means that anything and everything is possible, and that there are no limitations and no true boundaries. This is the true definition of freedom. This is what awaits us in the World to Come. This is what our shackles to physicality and our illusionary blindfolds prevent us from seeing. It is simple though: Everything that is imaginable anywhere, actually exists somewhere. Not in cyberspace, but in hyperspace. Cyberspace was not invented to liberate us, but to control us, to make our tethers to physicality stronger, not weaker. Now we can satisfy our desires to shop, to indulge our baser instincts, and to inflict mob rule 24/7 and we can do all three simultaneously, all while a few much more powerful and more scrupulous elites flood our cyber lives with their narrative and agenda while monitoring our every keystroke. Is that the freedom we were promised? 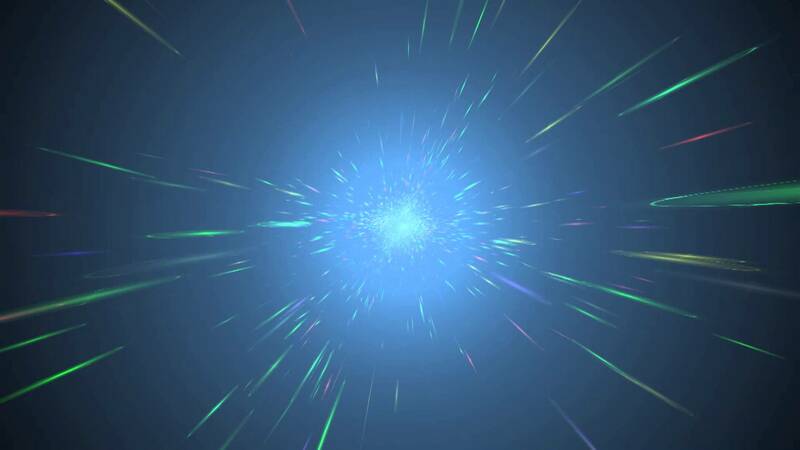 On the other hand, we have hyperspace, and given all the infinite possibilities defined by the infinite parallel universes G-d must exist somewhere in at least one of them, and while things may exist in one parallel universe and not another, if it exists in even one, It Exists period. Given that the Creator must exist, and given the nature of the Creator as the source and end all of everything, He then must exist everywhere. So, whether you believe in G-d or believe in science, you must believe in the Creative force and the greater beyond. If not, like Adam after the sin, you are just hiding from G-d and His desires for you. It did not work for Adam and it does not work for us either. Letting people sell us more blindfolds will not hide us any better; they will only cause us to stumble further. In the infinite world of the endless, there are no limitations and G-d exists with complete certitude. The endless infinity is called Ein Sof (אין סוף) in Hebrew, and the Light is Ohr (אור); they both equal 207, the same as Raz (רז), secret. The secret is what the kabbalists have been saying for thousands of years: G-d is the Light, which is the Endless, which is Infinite, which means once we are connected we have NO LIMITATIONS. This is true freedom. Being able to shop from your phone is not freedom; it is slavery. When we connect to Binah, we are not only the Light, we are One (אחד). Everything here in our world, is divisive, disjointed, and self-centered. Everything here in our world, has an end, which is why it is not light, which is endless. What we consider light in our world is just a shadow, a reflection, an illusion. This is the hardest thing to look past, and to let go of. Once we do, though, we can enter Binah. The World to Come will soon come upon us like an overpowering tidal wave and we will need to be able to let go, to jettison our anchors if we want to ride it. Think of being in our world as being immersed in the most complete virtual reality machine you can imagine. You are totally integrated with that world and no nothing outside of it. You cannot think outside that box because that box is all you know. The only way out is to unplug it, but before you can do that you must wake up and realize that your virtual world is not real and that there is actually something to unplug. That is the first and hardest step. That is what we are trying to do, to show you the signs, in other words the glitches in the VR system that do not make sense, things that do not add up. We want you to wake up in time and unplug. 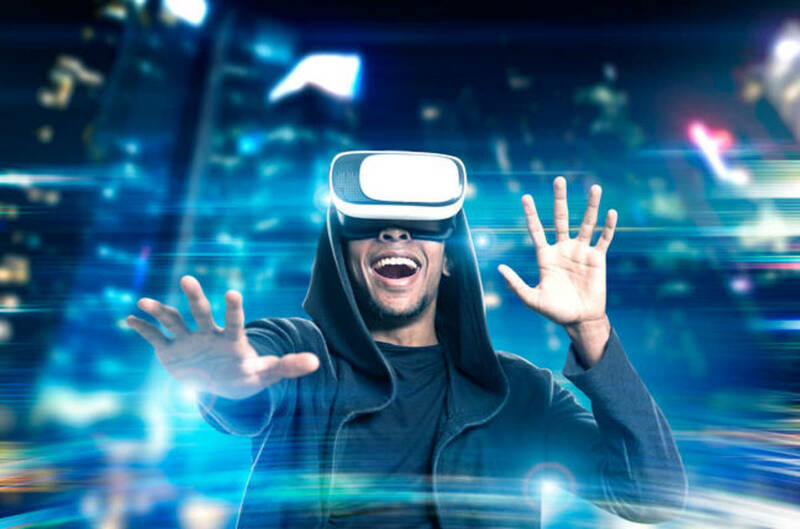 Since the physical VR system is a copy of spiritual one, it is based on the 10 sefirot (dimensions) and built on base-10 mathematics, which is why we can use simple mathematics to break the virtual codes, and to decode the hidden tools built into the system that transcend both worlds, like, the Torah, the Shema and the 42-Letter Name of G-d.
My fascination in mathematics and how it ties everything together was first piqued when I heard about perfect numbers in the 7th grade and tried to prove a relationship between them and the Fibonacci sequence. Perfect numbers are those whole numbers whose factors when added together equal the number itself. For example, the first perfect number is 6, whose factors 1 and 2 x 3 can be summed up as 1+2+3 = 6. Perfect numbers are very rare. The second perfect number is 28, as in the 28 letters in the Torah’s first verse. The third perfect number is 496, as in the value of the word Malchut, the earthly physical kingdom. To give you an idea how rare these number are, the 13th shortest one is 314 digits long. I only mention them because as previously explained the number 6 defines our physicality, the 28 first letters of the Torah end with the word Earth, our physical home, and 496 is the value of the word Malchut, the earthly physical kingdom. Everything is perfect and as it was always meant to be. Trust in the Truth. Trust that G-d has a plan for us. Trust in the spiritual tools. Do not trust in those who are now fighting to remove the words “In God we trust” from our currency. They are the same people who urge us that violence, hatred, and mob rule and tells us through our (their) networks that it is OK as long as we have a difference of opinion. They are the ones feeding us that difference of opinion. 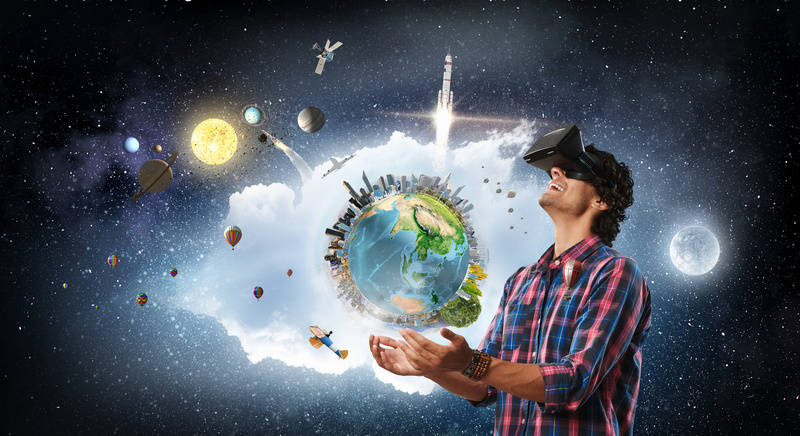 Today’s technology offers everyone the real possibility to connect to endless knowledge at our fingertips. Whatever the question or problem an answer or solution is only a few clicks away. The difference between this connection to the cloud and the connection to the Endless Light of Binah is that these Internet answers are impure. We have no way of knowing whether they are real, whether harm can eventually come from following their advice, or whether the person or powers that are supplying the answers have an agenda, even a possible evil controlling one. The other difference is that any answer we get from man-made sources is inherently limited. It is limited to at best what is already known, or more accurately what Man thinks he knows. A few hundred years ago the Earth was flat and the moon was made of cheese, and maybe it is. Given the limits of today’s technology we cannot even disprove these theories with total certainty. One month, butter is bad for you, another it is good, then bad again. Though there are trillions of data points out there for us to download, what man knows for certain about the universe and even our human bodies can fill a thimble, and yet we will trust these experts to design antivirus vaccines by messing around with our DNA. 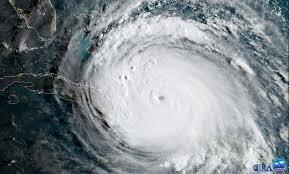 G-d Help us! All our knowledge is limited, meaning it has an end. There is an end to its accuracy and its usefulness. It inherently has an aspect of death in it. Spiritual knowledge, knowledge downloaded directly from the spiritual realm is limitless and always has an aspect of creation and the Creator in it. Therefore, we have a choice. Over the last 240 years and especially the last 50 years, technology has been accelerated to lead us to believe Man can do anything, and that a new great age of expanded abilities lies before us. 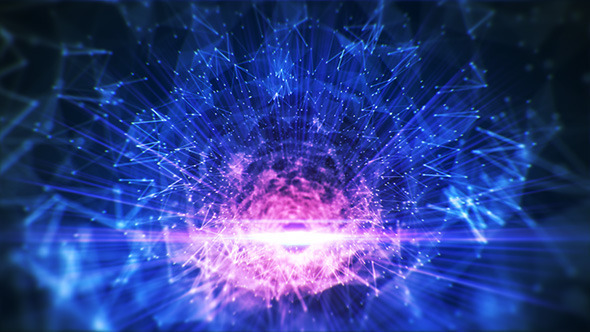 By mimicking the schematics of the upper worlds with their connectivity networks and portals operating at the speed of light, we have been led to believe we are living in a more spiritual more personally connected time. It is a tempting illusion. It is an illusion nonetheless. It is a world now, where illusions can be flashed at us at the speed of light with fake news and fake politicians, supported by fake Facebook and fake retweets, following fake currencies and even faker ideologies. In the illusory world of the physical, everything is limited, everything is flawed and doomed to failure and demise. Death is a certainty and G-d is a leap of faith. 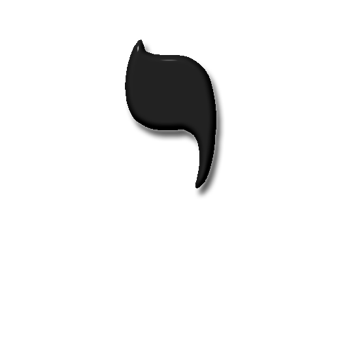 By contrast, there is more power in a single Hebrew letter than in all the Internet combined. Each letter is a portal, an entrance to the beyond, to Binah, and thus an entryway to the true Lightforce of G-d and a link to all the knowledge that ever was and ever will be. The sum of the entire 22 Hebrew letters, as explained in The Genesis Prayer, is 4248, an obvious allusion to Moshiach Ben David (424) and 8. Since the letter Chet (ח) is the 8th letter of the alphabet and of numerical value 8, and since we are still plugged into the 8th and final day of Chanukah and to the 8-day window for Ohr HaGanuz, let us use it as an example. The letter Chet (ח) is the only letter comprised of two consecutive component letters, Vav(ו) and Zayin (ז) and when we add their full names together we get 22 plus 67 equals 89, Chanukah, aligning it with Chanukah of the same numerical value (89) and thus to Ohr HaGanuz and Binah, the 8th sefira counting from below. As we wrote about during Chanukah, the letter Vav(ו) represents the Sun (Shemesh) and the Shamash candle and the name for the letter Zayin (ז) has the numerical value 67, which is also that of Binah. The values of Vav(ו) multiplied times Zayin (ז) is 42, as in the 42 Letter Name of G-d, the Shem Mem-Bet (מב) the gateway to Binah and as in the 42-square cubit (6 x 7) gateway to the Holy of Holies in the Future Holy Temple. This connection is also to the healing Binah powers of both the first paragraph of the Shema Prayer, which has 42 words, and to the 42 words that begin with the letter Vav(ו) in the subsequent 3 paragraphs of the Shema. Moreover, it also connects to the 42 words in the Shema that begin with Aleph (א). 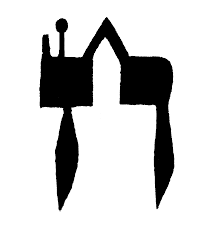 Therefore, given that the spelled-out letter Vav (ואו) at the level of Zeir Anpin has a numerical value of 13 acts like a capacitor and is a sandwich (ו-א-ו) of connections to the 42-Letter Name of G-d and thus Binah. Speaking of the number 13, it represents the value of the two most basic attributes of G-d that we need to connect with: Love (אהבה) and Oneness (אחד), which is why the 6th and 7th words of the Shema are “One (אחד) and Love (ואהבת).” It is also why the first word of that 42-word paragraph has the gematria value of Endless (אין סוף) and Light (אור) combined. In the spiritual world (One and Love) and (Endless and Light) are the same. Because this connection is so important for us and so anathema to our physical world, there are 13 words that begin with the initial Vav(ו) in the that first 42-word paragraph of the Shema. It is also why the initials Mem-Bet (מב) that have a numerical value 42, also have an ordinal value of 13, for a complete value of 55, just like the total 55 words of the 4 paragraphs of the Shema that begin with the letter Vav(ו) and that split into segments of 13 and 42. 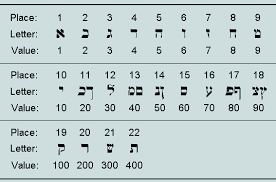 It is not just random chance that these Vavs(ו) and the Mem-Bet (מב) each sum to 55, since 55 is the sum of the numbers from 1 – 10, as in the 10 sefirot, which according Rabbi Chaim Vittal of blessed memory are connected to the Shem Mem-Bet (מב) through their 42 elements (32 Paths and 10 Sefirot). The 32 Paths themselves are equivalent to One and Love (אחד) and Love (ואהבה), which itself is connected to the Tetragrammaton (יהוה) of numerical value 26 and the 6 for connecting Vav(ו), both representative of the 6 bundled dimensions of Zeir Anpin that act as a ladder to Binah as previously explained. In our world we are taught to dismiss things as coincidence. In the upper world of true connectivity that concept does not exist; nothing happens in a vacuum or without a reason. Therefore, in the perfect world of the endless light, it is also not coincidental the 55 is the 10th number in the Fibonacci sequence, or that in that short 10 number initial portion of that infinite sequence based on the primordial constant Phi, we not only find that the 7th number is 13, or that there are at least 7 combinations that sum to 42, but we find the numbers 3,5 and 8 appear in order, as in 358 (Moshiach). It is probably hard to find a mathematician who would not dismiss that, but they would also have to dismiss the fact that 358 is also the 10th digit string within Pi, the other most important primordial mathematical constant that our physicality is built upon. 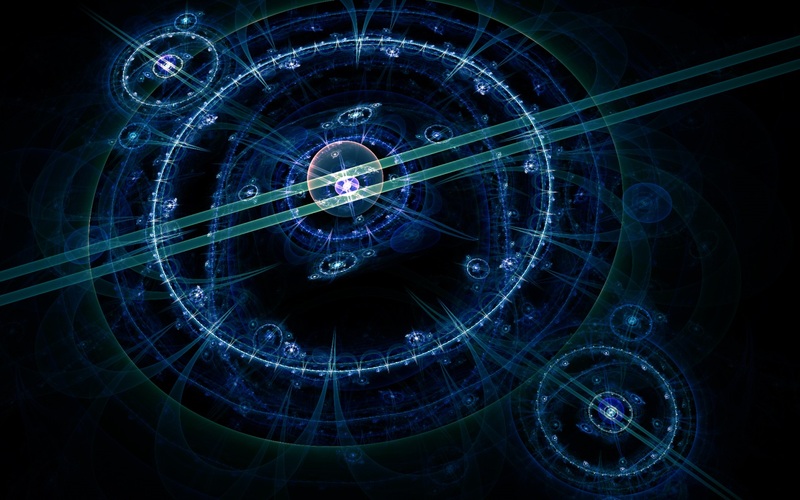 Spiritually, we know that the concept of Moshiach (the Messiah) or guiding force of Binah is purposely built into the first 10 digits of these infinite numbers in the same way we understand that by admitting the existence of infinity, they are admitting the existence of the spiritual realms and the limitations of anything that does not take infinity into account. We also know that when we examine the gematria of Abraham (808) and Sarah (505) and their children (303) and find that it breaks down to Abraham (808) and Sarah (505) equal 1313 (Love and One) and to “their children (303) + Sarah (505) + Abraham (808) or 3 x (101) + 5 x (101) + 8 x (101) or 358 (Mashiach) and (101). The Fibonacci numbers are based on Phi with 5 is to 8, as 8 is to 13 in that 3/5 ≈ 5/8 ≈ 8/13 ≈ 13/21 ≈ Phi = .618033887… ; therefore, their children is to as Sarah, as Sarah is to Abraham, as Abraham is to Love, and as love is to G-d (אהיה). What a message! It is all about Love, starting with love for G-d being the strongest and ending with the love we have for our children, which for most of us is the most powerful love we can tangibly feel. Imagine what it will be like when we take that love for our kids as a starting point and build it exponentially from there to reach Binah. 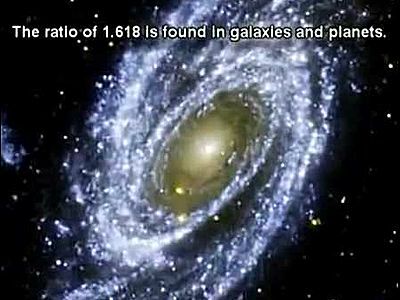 And when we follow the trail of Phi and raise it exponentially to the power of 18 we reach 5778.000, this Hebrew Year (5778 HC). Just to put a spiritual bow on this holiday gift, 101 is the universally recognized numerical value of the archangel Michael, protector of Israel and 1313 BCE was when we received the Torah at Sinai. In the spiritual world of connectivity everything has a reason and a purpose. This combination of the numbers 42 and 13 in the Shema, 42-Letter Name of G-d, and within the letter Chet (ח) can automatically connect us to the Tree-of-life and transport us to Israel in that 13 x 42 = 546, the value of the initials of 10 sefirot of the Tree-of-Life and of the 5 letters in the name, Israel (ישראל). Joseph (יוספ) has a numerical value of 156 or 6 x 26, the numerical value of the Tetragrammaton (יהוה). Jacob (יעקב) has a numerical value of 182 or 7 x 26, the numerical value of the Tetragrammaton (יהוה). Isaac (יצחק) has a numerical value of 208 or 8 x 26, the numerical value of the Tetragrammaton (יהוה). Together the names Joseph (יוספ), Jacob (יעקב), and Isaac (יצחק) have the collective value of 21 x 26 or 546, which as we just explained is the same as the initials of all the sefirot of the Tree of Life. 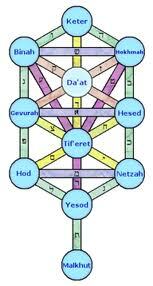 It is also equivalent to unifying two powerful Names of G-d: Ehyeh and the Tetragrammaton. Moreover, while (156 + 182 + 208) = 21 x 26, it also equals 42 x 13. We can use any of these specific tools as a backdoor to Binah. 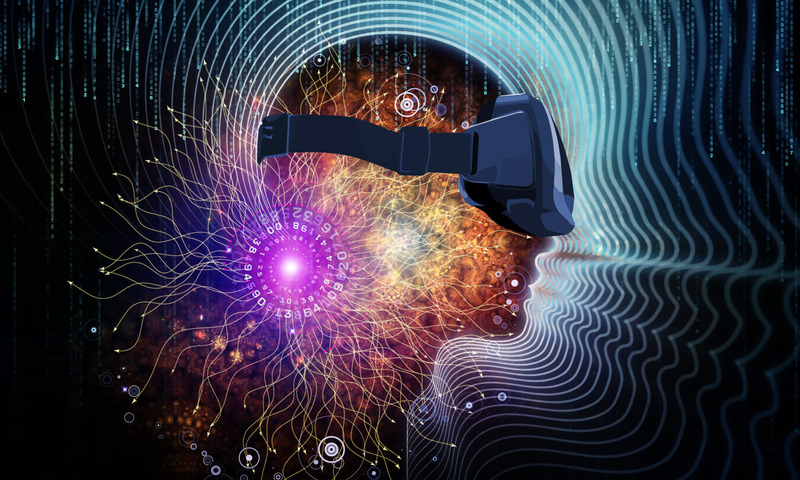 They are our safe (escape) words we were given when we entered this virtual realty vault. They are G-d’s gifts to us. This Chanukah, we are taking advantage of the Ohr HaGanuz and regifting them. Do you take the Earth, Moon and Sun for granted? I did, until recently. 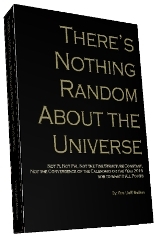 Like most people, I assumed physics and random chance played some role in their creation. Then again, like most of us, until recently I thought our news was real. Fake news is the least of our issues. That, at least, is created by man and controlled by men trying to manipulate us. 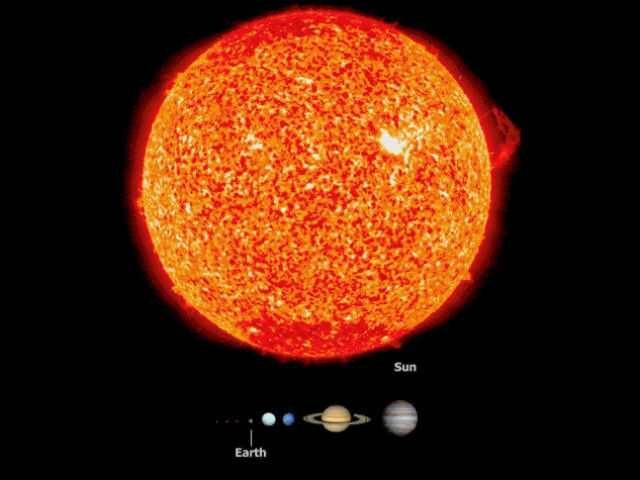 Our universe, our solar system, the Earth, Moon and Sun are an entire different story, on a much larger scale, an enormous scale if you consider that our inner solar system is 186 million miles wide. Nothing of what I thought about them is real, yet the true reality has been available to us in every scientific journal; we just never thought to look. What you are about to changed my perception of the universe and our place in it forever. I am going to piece it together for you as best I can in this brief article, using only the scientific facts readily available to all of us. Nevertheless, the purpose of these revelations is not to shock, nor is it to shatter the reality that we have all mutually constructed; it is to show us that there are back door escape hatches built into that reality, that the system was designed for us to uncover and harness it, while there is still time. Time itself is an interesting concept, marked solely by the turning of the Earth, and its orbit around the Sun. Every time the Earth spins around another day has past, every time the Earth orbits the Sun another year has past. This is the 5778th year in the Hebrew Calendar, and for 5778 years the Earth has been orbiting the Sun at 66,600 mph. Yes, that is a scientific fact. and yes it is 666, and while prophecies ancient and modern call for this year to be the “end of days (end of time)” this 666 does not represent some apocalyptic mark of a beast. It represents the knowledge of 666, ancient and modern. That said, this is also the 66.6th jubilee year from when 600,000 men received the 10 Commandments at Mt. Sinai in the Hebrew year 2448. So before we get too deep, since the moment the 600,000 Israelite Men (3.6 million Israelites in total) stood at Sinai, the Earth has circled the Sun at 66,600 mph, marking time for us for exactly 66.6 jubilee years. When the Earth revolves around its equator we get morning, then night, one day. 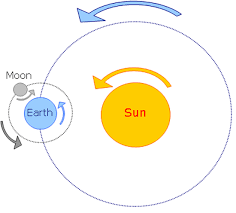 When the Sun revolves around its equator we don not notice much. Yet, for all those 2448 years the Sun has been revolving at its equator, oddly enough, in a 24.48 day cycle, meaning it completed one revolution every 24.48 days. Therefore, in those first 2448 years that the Bible told us to start counting, the Sun spun on its axis 36,525 times, meaning that its rotation was set to match the 365.25 day annual orbit of the Earth around the it. Moreover, since our Earth rotates completely in 24 hours, or 1 day, the Earth rotates exactly 24.48 times faster than the Sun. Again, these are all scientific facts that can be readily googled yet were never taught to us in school, and while they can be dismissed as coincidental, the Torah is 3330 years old and it chronicles clearly the 2448 year date. And if you do not believe in G-d, the Creator, or some Divine force, you will have to come up for some other explanation since Man, 3330 years ago, could not have calculated the Sun’s rotation or the Earth’s speed through space. There is another ancient book, the Zohar, written 1900 years ago, still long before Man could make any of these calculations. In this divinely inspired set of books ancient knowledge has been compiled and channeled, including many of the prophecies calling for this year to be the so-called end-of-days. Specifically, it is said to happen at the end of the 70-year period from the formation of Israel becoming a nation in 1948. So when the Zohar tells us about that 70-year period or that there are 70 faces (levels of understanding of the Torah) its author, Rabbi Shimon Bar Yochai, would not have known about the Earth’s 66,600 mph orbit, or that mathematically speaking, there are exactly 70 factors of the number 66,600. He did not have Google after all. And yet, the author of the Torah knew to place the revelation of the 10 Commandments at the 70th chapter and split them so that there would be 50 chapters in Genesis–akin to the jubilee period–and 20 in Exodus so that the 10 Commandments would end in Exodus 20:18 with Moses disappearing into the mist to receive the Torah. G-d, or whoever you think created the Torah, must have planned it to coincide with the year 2018 CE, or 70 years after 1948 CE. Those 66.6 jubilee years, each a 50-year interval, as specified in the Torah, are actually 3330 calendar years so it is probably not coincidental the Sun is actually 333,000 times more massive than the Earth. 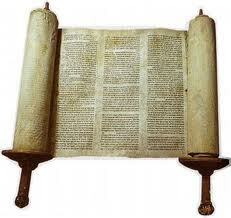 The Torah commanded us to count in 50-year intervals starting in 2448. The Zohar (Book of Splendor) explained that “jubilee” is Binah and that Binah has 50 Gates, and that what we are counting toward is the reckoning with Binah, the higher spiritual dimension associated with the World to Come. One fact neither the Torah, not the Zohar mentioned was that the surface temperature of the Sun is exactly 5778 degrees Kelvin, meaning that the life-giving surface temperature of the Sun marks the end of the 66.6 jubilee year period, the same 3330 years marked by the difference in size of the Sun and the Earth from 2448 to 5778. If I were making this up, it would be a great beginning to a Dan Brown novel, yet this is all very real. 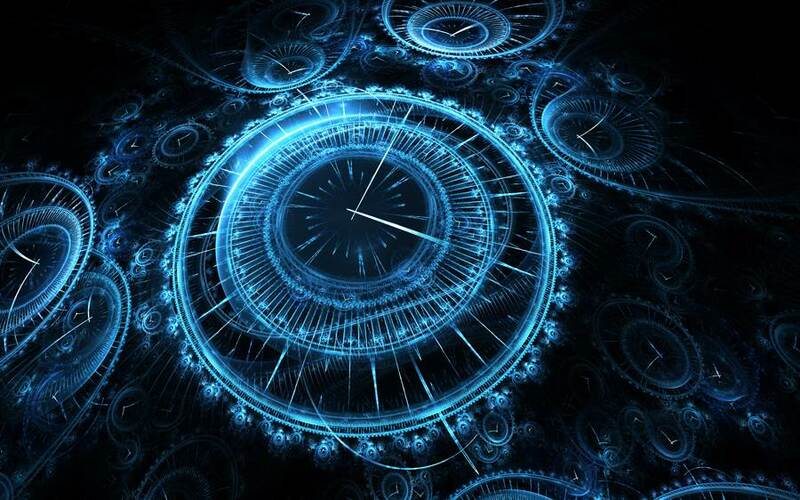 This enormous time-keeping system seems to be tuned precisely to coincide with the Torah, the Zohar and prophecies counting from Adam to Moshiach (the Messiah), yet this is only the beginning. These were just the first facts I stumbled upon. And while there were 600,000 men standing at Mt Sinai back in 2448, there were probably 3.6 million people in total, including the women, children and not including the accompanying mixed multitudes. The Book in which we were commanded to count those jubilee 50-year intervals is the Torah, which as we said was given to us in the year 2448, and which has exactly (600,000-408) component letters. Scholars, sages and kabbalists have all noted the connection between the 600,000 men and the supposed 600,000 letters of the Torah, which only makes sense when we realize the 27, or 3³, Hebrew letters are broken down into exactly 50 component letters that when multiplied by each letter occurrence in the Torah works out to (600,000 – 408) letters. This is relevant to us because 408 x 6 = 2448 and because multiple times the Zohar specifically mentions a period of 408 years leading up to the End of Days. We will discuss that period in our next article; nevertheless, the square root of 408 is 20.19, as in 2019 CE, one year from now and the beginning of a new dawn. Does all this seem contrived? It is not; these are scientific facts, ones that can only be calculated today with computers and advanced scientific instruments. They are also in the palms of our hands and on the back of our wrists. Our scientific understanding of the universe has advanced in leaps and bounds, yet for the last few hundred years those advances have served to distance us from our spiritual development. With the speeding up of technological development over the last few decades, this movement away from true spiritual beliefs has accelerated to the point where most everything is now upside down and backward. I did not understand until this moment why Rav Berg kept referring to how the eye sees images in our brains and minds: upside down and backward. The more science advanced the more we became glued to the physical realm with thousands (now trillions) of data points becoming our entire world. Do your kids look out the window or into their phones? It is time we turn the tables. Using only scientific facts about our solar system we can show that there is nothing random or unplanned about our existence. It was all premeditated and for a purpose. The truth is that in our corner of the galaxy, contrary to common belief, speed, time and distance are not only related but integrated. Scientists would tell us that this numerical relationship between the Sun’s size and the Earth’s size are purely coincidental, as is the relationship with their speed and their rotations, their temperatures too. As for the historic and Biblical dates and their relationship to these self-same numbers, just more coincidence. We can stick our heads in the sand and believe that too, but it will not stop the clock from ticking. It will not stop this once in all time alignment from occurring this year. As Rav Berg would often say, “there is no ‘time, space and motion’ they are one,” and as Rav Ashlag explained, in the spiritual realm distance is measured by similarity of form, not physical separation (i.e. 3330 and 333000 are nearly identical, while 3325 and 3330 could be worlds apart). Therefore, these relationships between the giant moving parts of our universe, whether it be the mass of a planet or the time it takes for it to revolve, or the speed that it is hurtling through space are not casual at all. They represent a unity of purpose and intent. Plainly speaking, they were purposely designed that way. It was no accident. And if it was done on purpose then someone had a purpose in doing so. And if so, it behooves us to figure out that purpose; after all, we are the ones trapped in that system, a system that is set to the number and year 5778, this year. The search for how this artificial system that governs our lives works took me to the tilt in the Earth’s axis. As it orbits the Sun at 66,600 mph, the Earth also tilts toward it at 23.4 degrees, which means it also tilts away at 66.6˚. Assuming the Earth is spherical and thus 360˚ round, it can be divided into four 90-degree quadrants stretching from the Poles to the Equator, and each 90˚quadrant is necessarily divided by the tilt into two parts, 23.4˚ and (90˚ – 23.4˚) or 66.6˚. that tilt away. Thousands of years ago without a telescope, tape measure, or calculator the Kabbalists divinely determined that the greater universe was divided into 10 dimensions. The upper 3 were purely spiritual, the lowest one, where we reside, is a world of illusion, and the other 6 are bundled together as a ladder to Heaven and are collectively referred to as Zeir Anpin. These same kabbalists and the Zohar also refer to the Sun as Zeir Anpin. Thousands of years later, our physicists came to the same conclusion and have determined that we do indeed inhabit a greater 10-dimensional universe with some of the them bundled together as tightly would string. They refer to this as String Theory. The Zohar explains that the 6 spiritual dimensions that make up Zeir Anpin are represented by the number 6 for the 6 directions that make up the 3-dimensional world that we live in. They further tell us that Zeir Anpin is also represented by the ineffable Name of G-d (יהוה), which is spiritually associated with this dimension. 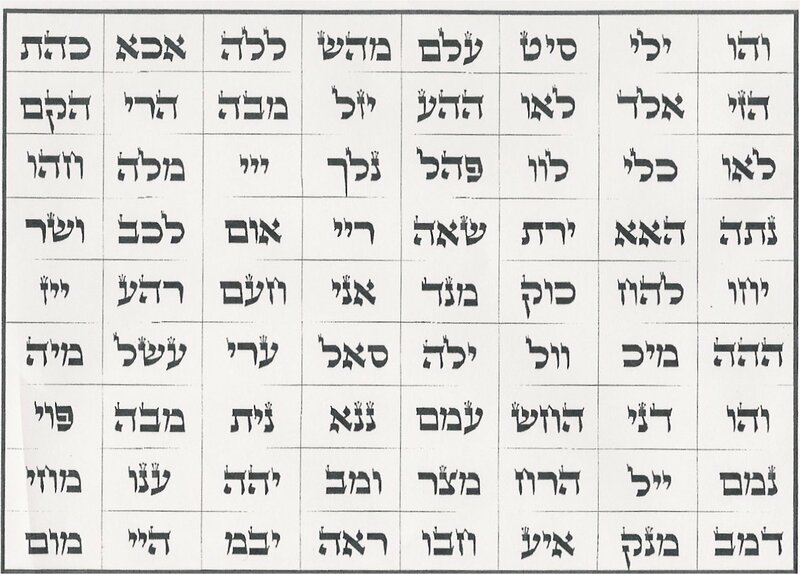 Each Hebrew letter has an assigned value based on its energy frequency and the collective value of the letters in the Tetragrammaton (יהוה) is 26. So given that and given that 23.4 and 66.6 are complementary angles, can it also be coincidental that 23.4˚ is precisely 26% of the full 90˚ angle, or that the Earth’s 23.4˚ tilted axis rotates against the backdrop of the constellations once every 26,000 years? 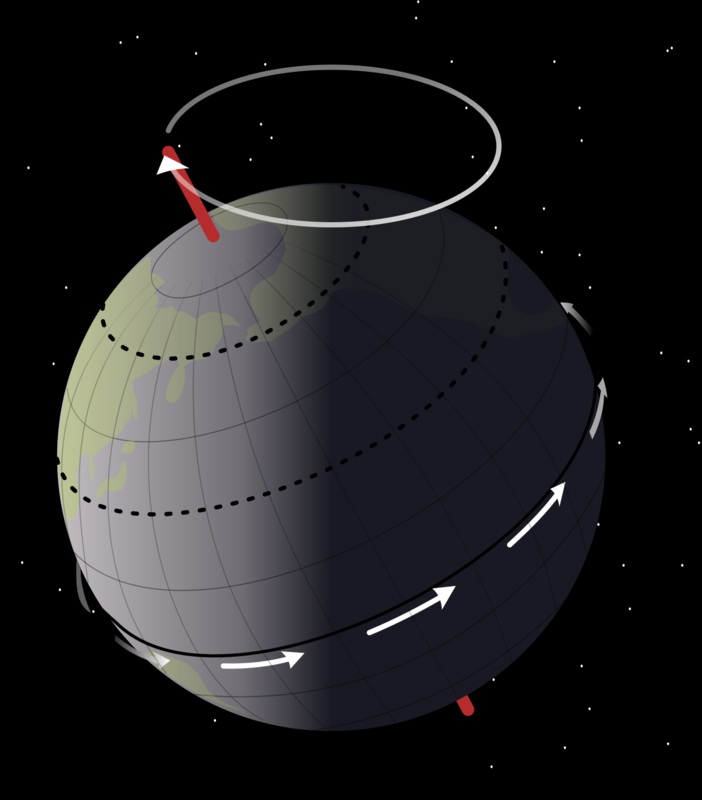 This rotation is known as the precession of the equinoxes . So given that whoever created our universe wanted G-d’s Name associated with the Earth’s tilt, we further find that (26 – 23.4) equals 2.6 or 10% of 26, which means that 23.4 is 90% of 26, thus relating the Earth’s tilt to G-d’s Name and the 90˚ right angle that defines our 3-dimensional universe. Let us now examine the relationship between the angle 66.6° and 23.4° a little further. While we might roll our eyes that 23.4 is 432 backwards, we cannot ignore the fact that 66.6 – 23.4 = 43.2. Moreover, 23.4 is .6 less than 24 hours, One day, matching the 6 hours before the first Shabbat that Adam sinned at the behest of the serpent, and also the 6 hours the Israelites did not wait for Moses to return with the tablets at the behest of the Erev Rav. 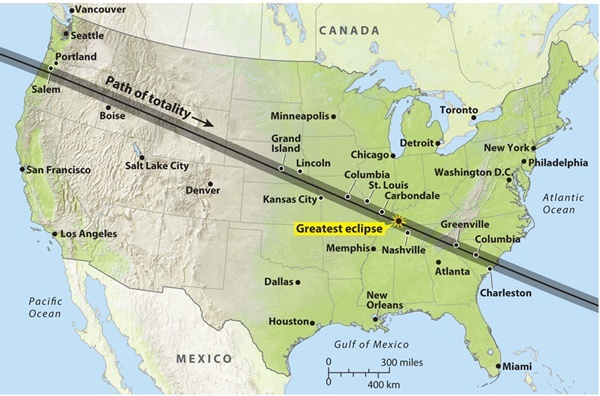 Those 6 hours equate to 6 x 60 x 60 or 21600 seconds, an allusion to the Moon’s diameter, 2160 miles. All the allusions to 216 alight on the sefira of gevurah of numerical value 216, signifying judgement. 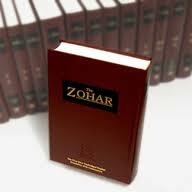 The Zohar tells us that our world was created in judgement and sustained by mercy, as in the allusions to 432. So while 234 and 432 are complimentary parts of 666, the 432 allusion to Binah is the spiritual reason the Earth is tilted off its strict axis by 23.4˚, thus binding it to the Tetragrammaton (יהוה) by way of the value 26 as described above. Thus mercy was injected into the strict judgement of Creation, and instead of burning up we were allowed to develop and find our way to this threshold of choice. Even the longitude and latitude measures of our continents can be shown to be 66.6˚ at the widest and longest points, and the measure from the top of Mt Everest to the surface of the Dead Sea, the Earth’s highest and lowest points respectively, is also approximately 5.778 miles. 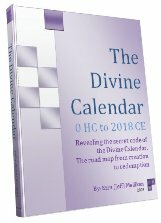 For 20 years we have been delineating the prophesies and the hidden secrets of the Torah that are all hinting at the year 5778 as the year prophesied for the coming of Moshiach, so while it is astonishing that the surface temperature of the Sun is 5778˚ Kelvin, every aspect of our universe that we choose to shine a spot light on is equally astonishingly beautiful in its divine symmetry of design, purpose and redundancy. For example, given that 26 is the numerical value of the Tetragrammaton (יהוה), which as we mentioned the Zohar associates with the Sun, and given that 5778 is simply (6000 – 222), its notable that these 5778 years since the birth of Adam are precisely .222222% of 26,000, and moreover that 26 x 222.222 = 5778 and furthermore that 222 is .333 of 666. Thus 5778 is not just a year, or the exact temperature of the Sun (Zeir Anpin) that is necessary to sustain life on Earth, it is also a specific portion of the Tetragrammaton (יהוה). As we stated earlier there are 70 mathematical factors in 66,600. One of them, the prime factor, is 37 x 1800, or 37 x (3 x 6) x 100. This relates back to 5778, the chosen year so to speak, in that 5778 = (6000-222) and 222 is .037 of 6000. Moreover, if 222 is .037 of 6000, than 5778 is (100-.037) or .963 of 6000. That is simple arithmetic, I promise you, though, what is conceptually deeper is why 5778 is also equal to 6 x 963. The year 5778 is to 6000 as 6 is to 5778. The year 5778 is to 6000 as 6 is to 5778. .222222% of 26,000 = 5778. Was our planet tilted just to connect the surface shined on to the Sun’s surface temperature? 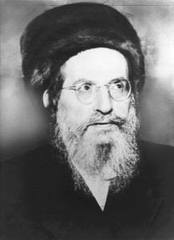 Rav Brandwein of blessed memory explained to me how his Uncle, Rav Yehuda Halevi Ashlag, HaSulam, knew 5778 was the year of the final redemption. It was based on the deep Kabbalistic premise of 2/3 and 1/3 or .666 and .333. Starting with the universally accepted premise of the sages and tzaddikim that we were given 6000 for the 6 days of Creation, he divided those 6000 years into 2/3 and 1/3 or 4000 and 2000, then likewise divided the remaining 2000 into 1333 and 666, then again into 444 and 222. What was left was 4000 + 1333.333 + 444.444 = 5778. The Arizal used a similar method to hint at the exact date. Nearly 1900 years before the Big Bang theory, the Zohar described our universe as beginning with a zero-dimensional point that expanded to single dimensional line and then a 2-dimensional plane or square if you will. Then with the outer boundary lines of this square expanding at right angles, representing the 3 columns, the 3-dimensional universe came into existence and the cube was formed. 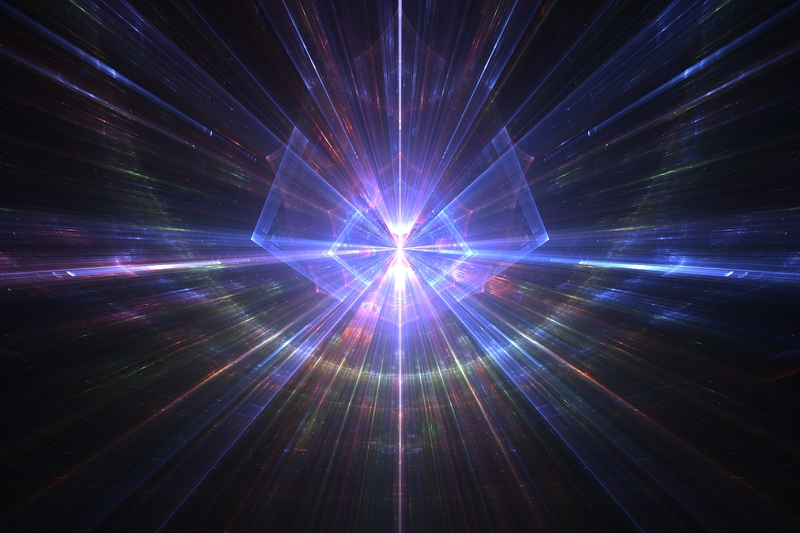 The expansion beyond that into a 4-dimensional hypercube was purely spiritual. It was called Binah. When it was a point it was represented by the letter Yud(י) of the Tetragrammaton (יהוה) with a numerical value of 10. When it was a line it was represented by the letter Vav (ו) of the Tetragrammaton (יהוה) with a numerical value of 6. Thus the original line, drawn between two points had the numerical value of 10 + 6 + 10 or 26, the same as the Tetragrammaton (יהוה). 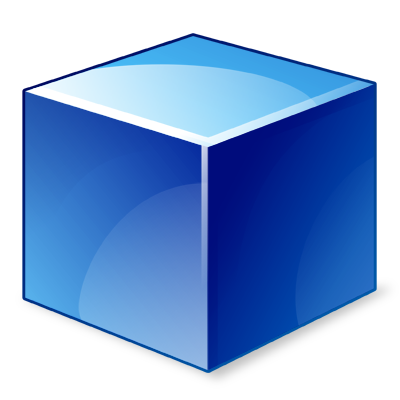 The elemental cube was constructed of a Vav (ו) in its length, width and height and thus numerically 6 x 6 x 6 or 216 in total 3-dimensional volume. The surface area of that 6-sided cube is 6 x 6 x 6 or 216, so inside and out we could say it is 216 + 216 or 432, which is the frequency (432 Hz) of the 4-dimensional realm of Binah, as discussed in prior articles. Please note that when the Zohar refers to this cube shape, or to our 3-dimensional world, it most often describes it as the 6 directions. The Moon is the 3rd element in this harmonically tuned celestial clock. Its diameter is 2160 miles, or 10 times the basic 6³ cube, referring to the 6 directions of Zeir Anpin formed by the letter Vav (ו) of the Tetragrammaton (יהוה) as it entered and created our 3-dimension space. In other words, the letter Vav (ו)–a straight line–engaged itself at right 90° angles. 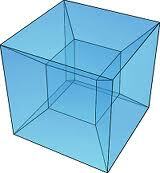 The volume of said cube (216) is half 432 Hz, the all-important frequency of the upper spiritual realm of Binah. Not only is the lunar diameter 2160 miles, but the radius of the Sun is 432,160 miles, making the Sun’s radius 200.07 times larger than the Moon’s diameter. If our outer clocks are primed to receive the 432 Hz frequency with which the spiritual realm of Binah operates, then so t0o our inner clock. At an average of 72 beats per minute, the number of times our hearts beat in an hour is 4320 beats. Notice that each beat of the basic heart rhythm has 3 parts, so 216 parts in each minute of 72 beat. Students of Kabbalah will immediately recognize the association to the 72 Names (triplets) comprised of the 3 sequential verses of the Torah of 72 letters each, for a total of 216 letters. These 3 verses describe the splitting of the endless sea that occurred in 2448. 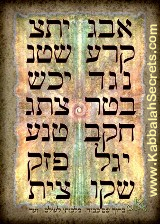 There is a secret, one of many, embedded in the 72 Name matrix that students of Kabbalah would not know. If you look carefully, you will see that certain Hebrew letters have crowns on them, in this case the triple crown. There are only two Names of the 72 that have side-by-side crowned letters. The first is located column 5 row 7 and the other at column 7 row 8: 5-7-7-8. There is a reason they are set in a matrix. There are similar hints and clues embedded in the 42-Letter Name, the Schema, the Psalms, and all throughout the Torah. 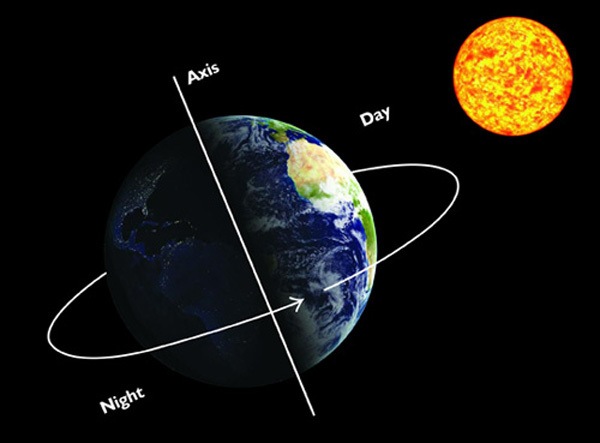 Every day, the Earth revolves on its axis in 24-hour cycles, which is 86,400 seconds, One Day, aligning the Earth’s rotation in seconds with the diameter of the Sun in miles, which is 864,320 miles long. We see that time and distance, two independent concepts, are merging together in this giant schematic. In this harmonically balanced trio of the Sun, Earth, and Moon, the Sun is considered the beginning, the giver of Light and the Moon is the end, the ultimate receiver, with all 3 playing integral roles. The bond between the Sun and the Moon is highlighted with the Moon’s diameter, 2160 miles being incorporated into the Sun’s radius 432160 miles. Thus, we have the Sun’s diameter being 401 times greater than the moon’s and if we assume this is no coincidence then we know that 401 is the numerical value of the article Et (את), the 4th word of the Torah, representing the first and last letters of the Hebrew alphabet, the alpha and the omega, Aleph and Tav, the beginning and the end if you will. Kabbalistically, as advised by Abraham Avinu in his Sefer Yetzirah, written 3800 years ago, the letter Tav(ת) represents the Moon. Wherever we find the article Et (את) inserted in the Torah narrative it is significant because the complete value of the article Et (את) is 424, that of Moshiach Ben David. The Zohar tells us that Et (את) means from Aleph (א) to Tav (ת), which is the distance from the primordial Aleph (א), also known as Binah to Malchut. In this unfolding schematic it means from the Moon (Malchut/Nukva) to Earth (ארץ), the physical reflection of Binah or junction point to the upper world. When we define attraction between objects in this world we compare the size of the objects with their distance apart. Therefore, the distance between the Earth and the Moon divided by the Moon’s diameter is 111.1111, or 1/6th the 666.666 value repeatedly built into our solar system. So forget gravity as the sole attractive force; someone made sure the Moon was just the right distance away from the Earth. Their diameters and their distance apart are preplanned elements of this beautiful harmonic synchronicity. And that relationship based on the number 111 is anything but arbitrary. 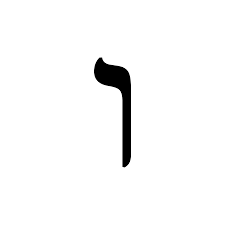 The value (111) is that of the first Hebrew letter Aleph (א) connected to the realm of Binah, and thus a huge injection of mercy. The very first of the Torah’s many commandments was to bless the new moon every month. Since Aleph (א) is numerically counted as both 1 and 1000 and has a gematria value of 111 when spelled out, the 6 letter Alephs (א) in the Torah’s first verse sum to either 666, 6000 or 6 respectively, which brings all this clockwork precision of the cosmos to its central point: Aleph (א), the reset button. By the way, when the Aleph (א) is broken down into its component letters, they collectively have the value of 32, as in the the 32 Paths of the Tree-of-life and as in the pull of gravity, 32 ft/sec². The symmetry and harmonic correlation is not just skin deep. We discussed in depth in a previous article about the syncing of the 3 temperature scales and how they align with the dimensions of the Third (3rd) Holy Temple to be constructed shortly. Just below the Sun’s surface of 5778˚ K, is its Chromosphere or atmospheric ring, which is even warmer at 7800˚ F or 4320˚ C. According to Rav Brandwein, may his memory be for a blessing, the 78 in 7800˚ F and especially in 5778˚ K stands for the values of the Hebrew initials of the Tree-of-Life(עץ–חיים), the non-illusory reality that is supposed to become available to use this year. It also stands for Adonai Echad (יְהוָה אֶחָֽד) from the Shema prayer, whose complete value is also 78. As we explained before and will cover again, there is enormous meaning to Adonai Echad (יְהוָה אֶחָֽד), G-d is One, on so many levels. The Sun, synced to the same 3 temperature scales, is a powerful enormous furnace, burning at the precise temperatures so that its omitted light is processed in just the right way to sustain and illuminate our lives. No one would question that it is a herculean task to create a star, the Sun, at all, let alone to mold it just right that so that it would sustain life at a specific distance away. So why does its various temperature levels and measurements need to align with those of the Earth and the Moon? They are going to receive the light regardless, right? And who would have figured that the life and consciousness sustained by that Sun would reach a level after 5778 years whereby we could figure out its temperature at its core, its surface and its chromosphere? That would have taken extraordinary planning? But why? Could there be a reason for Global Warming? All this is being revealed as “global warming” raises the mean surface temperature of the Earth to 57.78˚ just as we enter the year 5778. Reflecting on 27.3, the value of the word “gematria”, it is also the core temperature of the Sun at 27.3 million degrees Fahrenheit. Twice 273, or 546, is the sum of the initials of all the sefirot and is the gematria of Israel including the kolel, as advised to us by the Arizal. So we now have the Sun’s temperature at its core, chromosphere, and surface, inclusive of all 3 temperature scales, integrally related to all the movement and mass in our solar system. 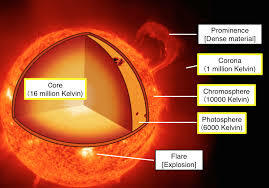 When the Kelvin scale was established based on the absolute freezing point of -273˚ C there was no way of man knowing that the core temperature of the Sun was 27.3 million degrees Fahrenheit and yet divinely a balance between absolute cold and absolute heat had already been built into the Sun. Were these measurements important to G-d, or did He just want us to find them and their symmetry? Is it fitting we found them in 5778 or was it planned all along? We could not have found them much earlier as the technology was not available. Yes, the numbers meant something to the Kabbalists for thousands of years, but they had no way of knowing the temperature of the Sun or the diameter of the Moon. It took time for the ancient and modern knowledge to merge; it took 5778 years to be precise. Convinced that there is more than meets the eye going on with our universe, we could stop our investigation right now and limit our understanding, but Binah means Understanding and only by understanding are we going to be able to get in. In the realm of Binah, everything is interconnected and as we have seen so far, everything in our world seems to be connected as well–only that we had no idea. When Isaac dug wells he was not looking for water. We need to keep digging if we want to reach the light. Okay, so we know that the Sun’s surface temperature is 5778˚ on the Kelvin scale. Our scientists also tell us that Zero degrees (0°) on that Kelvin scale describes the moment when it is so cold that all motion stops. This absolute freezing point is -273.15˚ C. All well and good, except that those dark, slightly cooler, spots on the Sun, aptly named sunspots, revolve around it in exactly 27.3 days, and our Moon also orbits the Earth in those same 27.3 days. Picture it for a second. Place yourself just outside our solar system and picture it: against the background of absolute stillness, giant cooler dark spots are circling the sun in harmonic unison with the Moon circling the Earth—a precision dance, each pacing each other as if they were mentally connected. 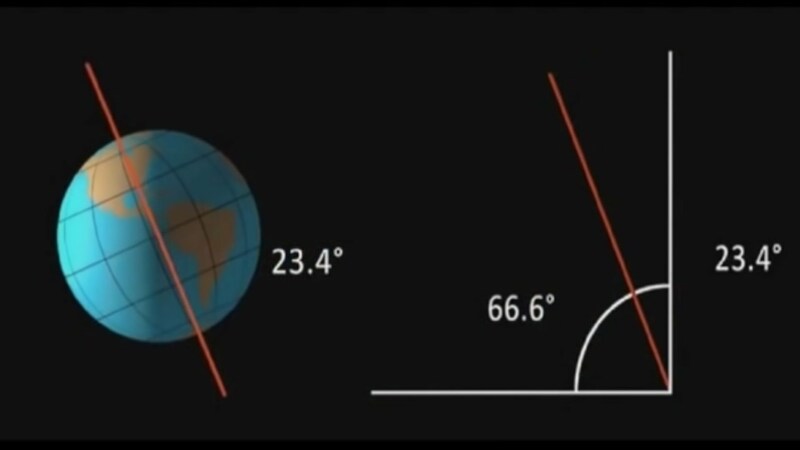 We spoke about the 111 (Aleph) relationship between the Moon’s diameter and its distance from Earth, now we learn that the ratio of the Moon’s diameter over the Earth’s diameter is .273. Diameter is not just a distance. It means the Moon’s overall size and spherical volume is 27.3% of the Earth’s, even as it revolves around that Earth at the same exact 27.3 day pace that the sunspots are also revolving around the Sun’s surface. 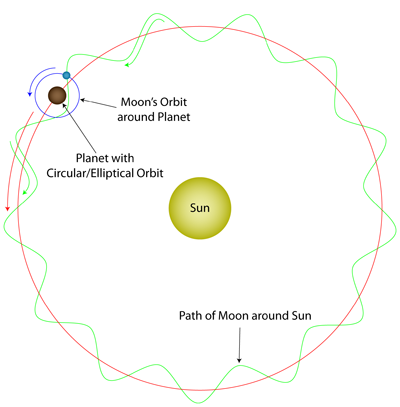 Furthermore, the amount of time the Moon takes to complete one turn on its axis with respect to the stars is also 27.3 days (a sidereal day), and 273 days marks the ¾ point in the Earth’s 365-day journey around the Sun every year. Because of how the temperature scales were designed, the other key point on the Kelvin scale from 0˚ K (-273˚ C) to 5778˚K is the melting point of ice, alternatively the freezing point of water, which is 273˚K. 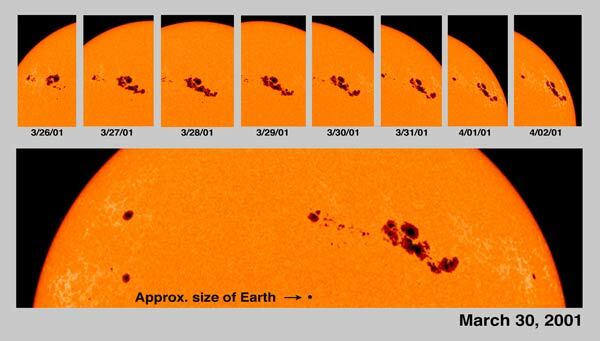 Sunspots revolve around the Sun’s surface in 27.3 days. 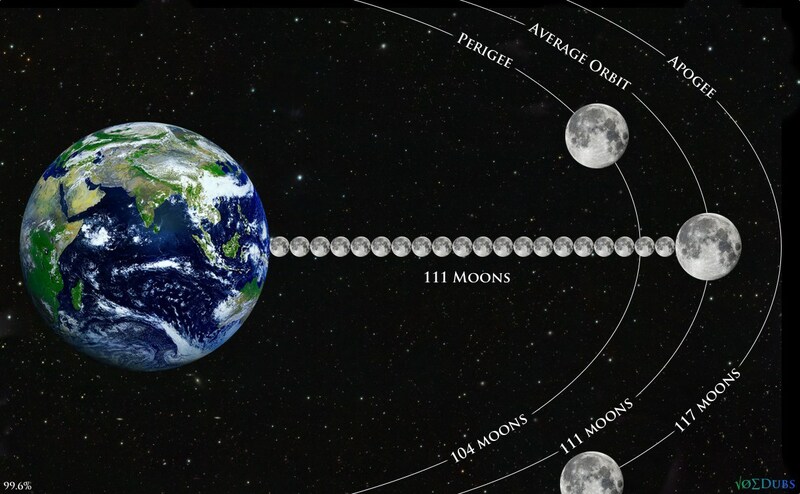 The Moon orbits the Earth in 27.3 days. The ratio of the Moon’s diameter over the Earth’s diameter is .273. 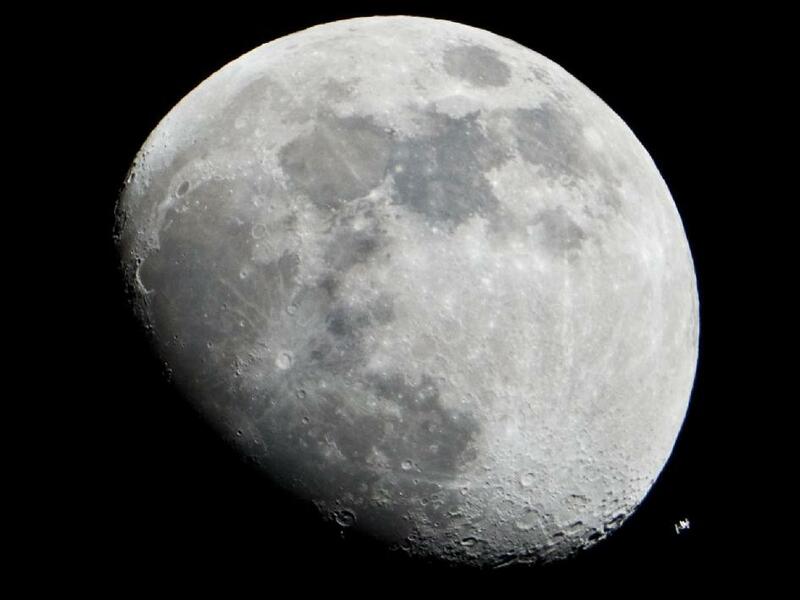 Moon’s overall size and spherical volume is 27.3% of the Earth’s. Moon revolves on its axis in 27.3 days. The freezing point of water: 273˚K. 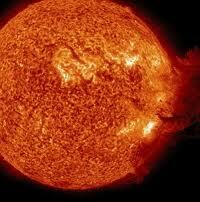 The core temperature of the Sun is 27.3 million degrees Fahrenheit. Why? None of these physical phenomenon have anything to do with one another, no physical reason to sync up. 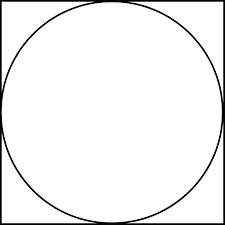 In a more basic geometric sense, the area of a square is 27.3% larger than the area of a circle inscribed or drawn inside it. This is actually significant because it means 27.3 plays a major role as a ratio when we go from the basic 2-d square and 3-dimensional cube to the circles and spheres we find all around us. Kabbalistically, it is notable that a circle of 666 would yield a square circumscribed around it with an area of 848, which is equivalent to 2 x 424, or two times the numerical value of Moshiach Ben David. Why 27.3? Could it be that 33.3 – 6 = 27.3? Once again, every key measure of our solar system harks back to the number 6 and the 333/666 relationship (1/3, 2/3). Once again, the universe is showing us an astonishing symmetry and similarity of form between time, space and motion. So how does this integrate with the 666-relationship and the Primordial Aleph (א) of the realm of Binah? Well, while 273 x 666 is 181818, which is 60606 x 3, Rabbi Abraham Azulai pointed out 400 years ago in his book Chesed L’Abraham that the 3 iterations of the spelling out of the letter Aleph (אלף) equal 1818. Gematria is the ancient science of the numerical recognition and encodings of the energy represented by the Hebrew letters as they combine with one another. It was used extensively by the ancient kabbalists to understand the secrets and spiritual underpinnings of our universe. Of the 70 levels of understanding of the Torah, Rav Abulafia of blessed memory, said that gematria was the deepest. The gematria value for the word “gematria” itself is 273. 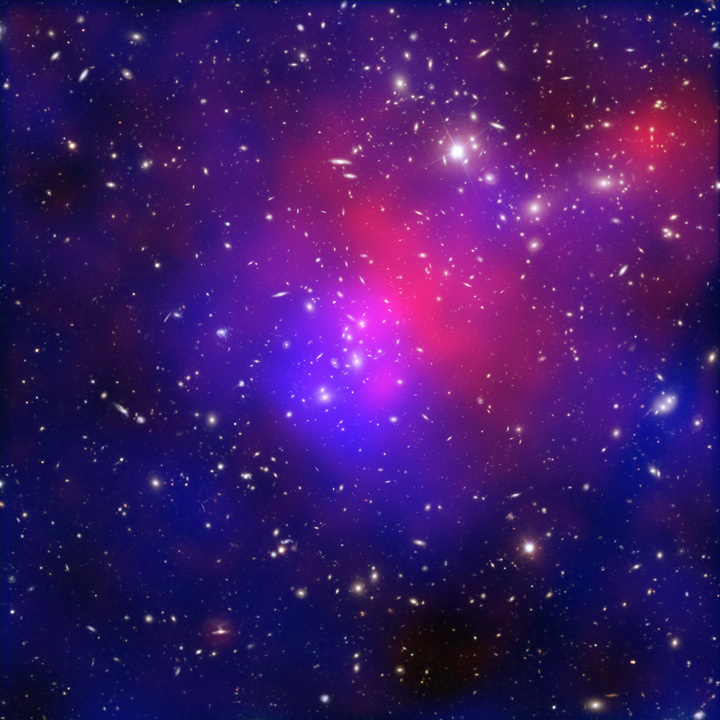 Obviously, whoever built this enormous cosmic clock did not want us to miss the point. In this melodic dance of the 3 cosmic bodies that govern our lives—the Earth, Sun and Moon—the ordinal value of their Hebrew names, Ertz (ארץ), Camah(חמה), and Levanah(לבנה) is 48, 26, and 33 respectively and their collective sum is 107. This is telling because the sum of the integers from 1 to 107 is 5778. Pure coincidence? Perhaps, but is it also a coincidence that those 66,600 mph that the Earth is circling the Sun is also 107,000 kilometers per hour or that the distance between the earth and the Sun divided by its diameter is 107. In other words, like the 111 Moons, the distance between the Earth and the Sun equals 107 Suns. And since everything in our world is reflected in (or from) the Torah it is noteworthy that there are 107,000 letters in the Torah preceding the 10 Commandments? 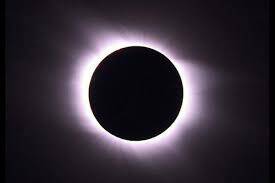 To round things out, the Sun’s diameter divided by the distance from the Earth to the Moon is 3.6 and the sum of the numbers from 1 to 36 is 666, which brings us back to 66,600 mph. 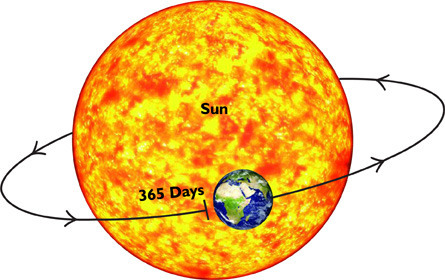 The distance from the Earth to the Sun = 107 Suns. The truth be told I did not just come across the relationship between 107 and 5778 recently. I have known about it for 20 years. It is a deep Kabbalistic concept that energy is never lost so when we count whole numbers like 1 , 2, and 3 they exist individually and as a collective (1+2+3 = 6). This is a principle embedded throughout the Torah. The Sum ∑1 – 7 = 28. mirrors the 7 words and 28 letters of the Torah’s first ver, whose total gematria value is 2701, equivolent to ∑1 – 73, the numerical value of Chochma (Wisdom) Then adding the very next word brings the total to 33 letters of numerical value 3003, which works out to ∑1-77, the value of mazal (fortune). Another example is found in the sum of all 90,100 Yuds(י), Heis (ה) and Vavs(ו)–the components of the Tetragrammaton (יהוה)–that are in the Torah since 90,100 = ∑1-424 , the value of Moshiach Ben David. Before we go on, let us try to make some sense of this. 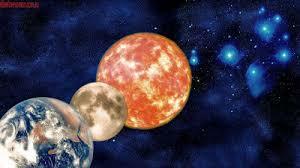 There are 111 Moons between the Earth and the Moon, and 107 Suns between the Earth and the Sun. The 107 measures time, giving us a limit of 5778 years. The 111 measures distance, the spiritual distance to reach the Aleph (א) from the Malchut, Moon. 111 is the value of “the line (הקו)”, the line that is drawn down to us from Binah. Considering the ordinal value of the 3 names again, we see the hand of G-d, or at least His Name (יהוה) represented: 4+8+2+6+3+3 = 26. These 3 names and 10 letters can be neatly arranged into the 3 columns and 10 dimensions (sefirot) of the Tree-of-Life that is at the heart of the ancient kabbalistic understanding. The 3 letters of the Sun(חמה) are on the right, the 3 letters of the Earth (ארץ) are on the left and the 4 letters of the Moon(לבנה) form the central column. Their complete gematria—their standard sofit numerical value plus the ordinal or alphabetical placement value, of the 10 letters—is equal to 1332 or 2 x 666, when the kolel of all the 16 elements of the equation are subtracted. We mentioned that according to Abraham the Patriarch the Moon is associated with the letter Tav(ת) of numerical value 400, and the Sun is associated with the letter Caf (כ), representing Keter, the crowning highest dimension, whose numerical value of 20 is the square root of 400 and thus the essence or source of it. Similarly, the Sun is the source of the Moon’s light. Therefore, given all the solar connections to 666, it is significant that 20 = 6.666 x 3, and more so that the Western Calendar year corresponding to 5778 is 2018 CE and that 2018 = (666 x 3 + 666.666 x 3). So whether the year is 2018, or 20 centuries (6.666 x 3) plus 18 years (6 x 3), the year 2018 is all about the 6’s (vavs ווו) and their relation to 3-dimensional structure of our reality. The gematria equivalent to 20 (כ) and 18 (חי), or 2018, is keter (crowning summit) with chai (life) respectively, spelling out the “pinnacle of life.” Like any pinnacle, it is certainly a pivotal moment in time and in our history. A culmination may be an even better translation, one fitting with all the prophecies. The Earth (ארץ) begins with the letter Aleph (א), the Sun (חמה) begins with the letter Chet (ח), and the moon (לבנה) begins the with the letter Lamed (ל), and as we just explained the moon is energetically guided through the Tav (ת). The Hebrew letter dalet spelled (דלת) contains both the lunar letters Lamed (ל) and Tav (ת) and represents the same realm as the moon, Malchut, the realm that has no light of its own, as explained in the Zohar. When we combine these 3 letters, representing the Earth, Sun and Moon, we get (אחד) the Hebrew word for One, as in “He and His Name are One” and “G-d is One” from the Shema prayer. The numerical value for Echad (אחד) is 13 which harks back to the 3 names and 10 letters and to the 3 columns and 10 dimensions (sefirot) of the Tree-of-Life. Now these 3 letters are each found exactly 1 time within the all-important 42-Letter Name Matrix. They are found respectively within the 1st triplet of each of the 1st, 3rd and 5th lines and it just so happens that these 3 triplets add up to 173 in standard gematria, which is the small gematria value for the entire 42 letters. These represent the 173 keys to Binah given to Moses as detailed in the Zohar. So if you were looking for the keys to get into Binah you need look no further than the 42-Letter Name. We saw that when we tithe or subtract 1/10th of the value (26) of the Tetragrammaton (יהוה) we get the value of the Earth’s tilt etc, 23.4˚ Then taking the value 27.3 repeated above as the net value of (30 – 1/10th) or 27.3, in other words (30 – 2.7) = 27.3. Abraham, the Patriarch explained that the numerical value 30 is associated with the Hebrew letter lamed (ל) and that this letter lamed (ל) is associated to the sefira of Binah by virtue that it is the only letter that is drawn above the plane of existence. Given that this may be one reason why the Zohar tells us that there needs to be (לו) or 36 tzadikim present at all times to sustain the world. So while it is not coincidental that (27.3 = 17.3 + 10), harking back numerically to the 173 keys of the 42-Letter Name, and the 10 sefirot, it is also not random chance that the sum of the integers from ∑ 1- 36 = 666. 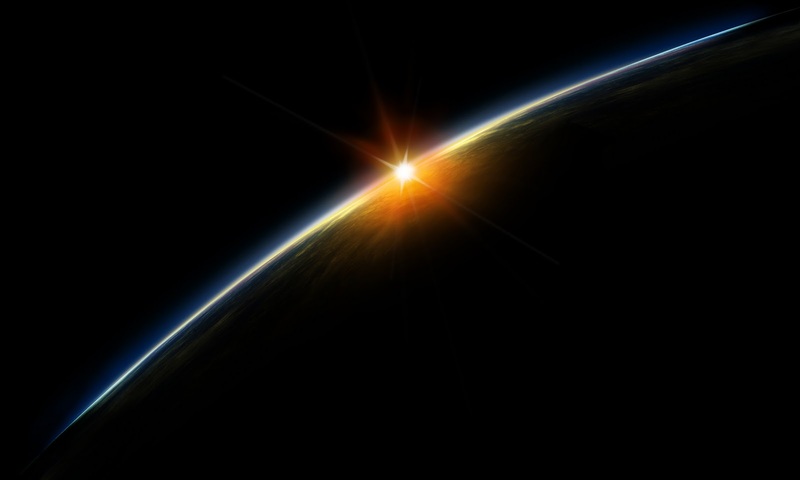 It is interesting that One (אחד) is associated with 173 and the 42-Letter Name of Creation, because it was on the first day of Creation, found in Genesis 1:5, when “G-d named the light ‘Day,’… It was evening and morning, One day.” Independently, our scientists have determined that there are exactly 173 astronomical units in One day. In other words, in relation to the set distance between the Earth and the Sun (93,000,000 miles approx. ), this is how far light travels at the speed of light (186,000 mps) in One Day’s time (86,400 seconds). What did G-d name the light? Day. And One day is divided into 2 parts (“evening and morning, One day,”) just as 173/2 = 86,400 seconds and 186,000/2 = 93,000,000. According to the Zohar, “one day” refers to the “everlasting day” in the “everlasting world,” the world of Binah. Consider this: While the speed-of-light is 186,000 mps and that it is considered by physicists to be primordial, existing far beyond the birth of our Sun, how contrived is it that the width of the Earth’s orbit is 186,000,000 miles wide? 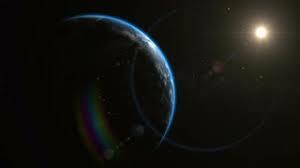 In the simplest sense, the light traverses the Earth’s orbit in 186,000,000/186,000 or 1000 seconds. Spiritually, the value of Aleph is 1000, and time of Binah is 1000 years long. 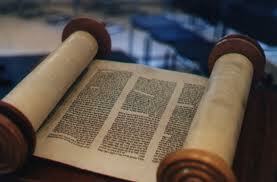 The difference between the Torah’s first verse (2701) and the 42-Letter Name (3701) is 1000. This is not surprising since the 42-Letter Name, that begins and ends with the letters Aleph (א) and Tav (ת), is our bridge to Binah and always has been. By the way, the Earth’s 93,000,000 mile distance from the Sun is also 149.5 million KM using the metric system and 1495 is the sum value of all 22 Hebrew letters. 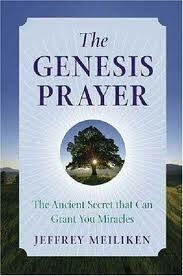 The Genesis verses 1:5 -1:7, including the excerpt above, all occurred before the 2nd day of Creation was sanctified. “It was morning, one day…water from water” has the standard gematria of 2448, as in the year the Israelites stood at Sinai and as in the 24.48 days the Sun takes to revolve at its equator. 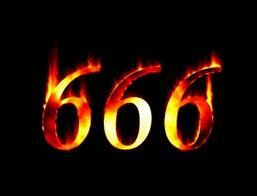 It is also 6666 in full sofit gematria inclusive of the kolel of 18 for the 18 words and verses. Moreover, when G-d separated the “water from water (מַיִם לָמָיִם)” He also split its numerical sofit value of 1332 in 2 to get 666. A deeper secret embedded in “water from water (מַיִם לָמָיִם)” is that in complete gematria the letter lamed (ל) has a value of 42, as in the 42-Letter Name of G-d, and each of the two words for water (Mayim מים) have the complete gematria of 126 or (3 X 42) representing the 3 columns of the complete Tree-of-Life. According to Rabbi Chaim Vittal of blessed memory, each of these 3 Trees has 42 parts. In total, the 3 components Mayim-Lamed-Mayim, themselves reminiscent of H2O in their composition, there are 7 associations with 42. When G-d was splitting the water from water, He was separating the upper and lower 42-Letter Names and setting up the dynamic in which they and the Tree-of-Life would function as a nexus between Binah and our world in order to spiritually maintain our universe. It was this action and the splitting of the waters that later manifest on cue as the splitting of the Endless Sea 2448 years later. So it is not coincidental then that our scientists have figured out that the Molar mass or molecular weight of water is 18.01528 g/mol, yet again connecting a crucial life-sustaining element in our environment to 18 or 3 x 6. The 3 celestial numbers used as angles, temperature, times, and distances used in the design of our universe line up in a very specific and ordered way: 23.4 – 26 – 27.3 are 2.6 and 1.3 units apart respectively, meaning that of the entire 3.9 units that separate the measures 23.4 and 27.3 are split into the .666 and .333 proportions (i.e 2.6/3.9 = .666 and 1.3/3.9 = .333). Furthermore, a deeper level of gematria reveals that (23.4 X 26 X 27.3)/ (23.4 + 26 + 27.3) = 216.55 thus circling back on the basic 6³ cube. And when we add the three basic distances (diameters) of these same celestial bodies, 216 + 432 + 864, we get 1728, which is a 12³ cube and the sum of 6 cubes of 216. The sum of 1728 is also one less than the 1729 words in the Torah that have the value 26 of the Tetragrammaton (יהוה). The relationship with the cube shape is not a casual one, as the 3-dimensional cubic shape necessarily has 6 side (faces), 8 vertices (points) and 12 edges, totaling 26 total elements. 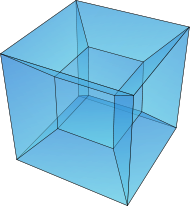 The 4-dimensional cube or hypercube, corresponding to Binah, has 42 faces, 72 vertices and 72 edges for a total of 186 as in the 186,000 mps speed of light and 186,000,000 mile width of our earthly orbit. This makes perfect sense as information in the state of Binah is instantaneous, meaning it travels around at the speed of light. It also makes sense that we can access Binah through the 42-Letter Name of G-d and the 72 Names (Triplets). This is also why the 4 paragraphs of the Shema have 42, 72, 50 and 72 words each. Moreover, this corresponds to what the Zohar tells us are the 36 hours of the Ohr Ha-Ganuz, the concealed light of Binah, which was set aside for Adam even though he had sinned. This is the special light set aside and available for us to tap into every Channukah as we light the 36 Chanukkiah candles over the 8 days for the sum of the numbers from ∑ 1 to 8 is 36. 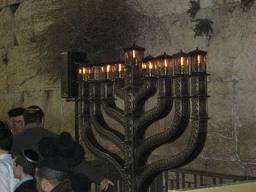 There is a an interesting story regarding the Sultan’s search for the meaning of the 9th Channukah candle, the Shamash or helper candle. What he never learned was that the Shamash (שמש) is spelled the same way as is the Sun in Hebrew, Shemesh (שמש), both of which have the ordinal value of 42 for the two shins (שש) and 13 for the Mem (מ). This is just like the Mem-Bet (מב) or the Shem Mem-Bet, the 42 Letter Name, whose value is 42 plus an ordinal value of 13, for a total of 55. It is also just this the 13 words with the initial Vav (ו) is the first paragraph of the Shema, the one with 42 words, combined with the 42 words with the initial Vav (ו) in the rest of the 4 paragraphs for a total of the 55 mercies. We already know that the Sun is represent by the Vav (ו) and that 13 is the value of Echad (אחד), One. So combining all that we know, can the secret of the Shamash (שמש) candle standing above the rest be that it is a Vav (ו), the one that represents the Sun, Shemesh (שמש)? It certainty looks like a Vav (ו) and it brings everything together as One. Moreover the Vav (ו) of value 6 times the 36 candles is 216 again. Meanwhile, with the 8 Shamash (שמש) candles there are 44 candles in total plus the One Echad (אחד), making 45, representing the other Name for the Sun (חמה). Chamah (חמה) can be broken down to chet(ח) for the 8 nights and Mah (מה) for the Tetragrammaton of Zeir Anpin at the level of Sun. Channukah 5778 is almost upon us, the more we can harness its secrets the better our connection to Ohr Haganuz, the Light of Moshiach will be. The proper Chanukah meditations as detailed by the Arizal can be found here. If you are going to light the candles, you want to get the most out of it for your family and our world, right? Who knew more than the Ari? Then we have the standard value of Shemesh (שמש) which is 640 or (8² x 10) and when we add the Tetragrammaton (יהוה) to the Sun (שמש), both representative of Zeir Anpin, we get 640 + 26 = 666, yet again. This is all very surreal. Let us step back and examine what we now know about our universe in the way that G-d and the beings in Heaven might see it, or aliens in outer space if that is where your faith lies. Our solar system is in reality a giant clock with enormous mechanical gears turning one another in lock-step. Our hearts beat to the ticking of time that is based on the turning of the Earth and Moon as they spin in harmonic sync with and revolve around the Sun. They are all aligned, tuned, and constructed to the same proportions (including their mass, radius, diameters, etc.) and then tilted just so. Their speed and distance traveled is likewise aligned to those selfsame proportions, as is the strength of their internal battery, which is set at 5778K. Perhaps, like its Swiss counterparts, this clock-like mechanism gets gunked up over time because of all our klippot, negativity, and acquired tikkune. Or perhaps the gears in this giant clock-like mechanism are wound to only last 5778 years, and unless the reset button is pushed at the start of 2019 CE it will grind to a halt in one way or another. We cannot know for sure. The two things we do know are that one, the ancient ones prophesied all this thousands of years before they could have physically known any of it, and two, the year 5778 is upon on. We can no longer view our solar system as a streak of random accumulations of meteorites and luck, all floating within a sea of endless stars and galaxies. Random luck does not align proportions across different physical elements and modalities. Random luck does not set the various temperature levels of the Sun to match our planets sizes and speeds of rotations. Nor does evolution and physics. Random luck does not make the primordial mathematical constant Phi (1.6180033889…), which controls the spiraling growth throughout nature from our DNA to the shape of galaxies, align with the 3 Vavs(ווו) and 5778. Nor does random luck does insert the numerical string 5778 and 2019 three (3) times each within the first 1000 digits (10³) of Pi. No, there is nothing random about this, and we cannot take these alignments of our solar system for granted. The Earth is not simply in a fortuitous orbit around the Sun; it is set in a fixed mechanism, designed not by evolution and simple laws of physics, but by strict intent and purpose. Abraham and the true kabbalists have known this for thousands of years. Our scientists are loathe to admit it, but all the technological advancements of the last few decades have served to prove it. Like Abraham, modern physicists now believe the greater universe is designed around 10 dimensions bundled together. Abraham taught us their names and their relationships with one another; our physicists are confirming the mathematics. Most of the information offered above were not kabbalistic secrets; they were just little known scientific facts about our solar system that we tied together and highlighted. Originally, we had intended for them to serve as an introduction to the real secrets, ones which we all need in order to break out beyond the clock-like confines of our physicality. 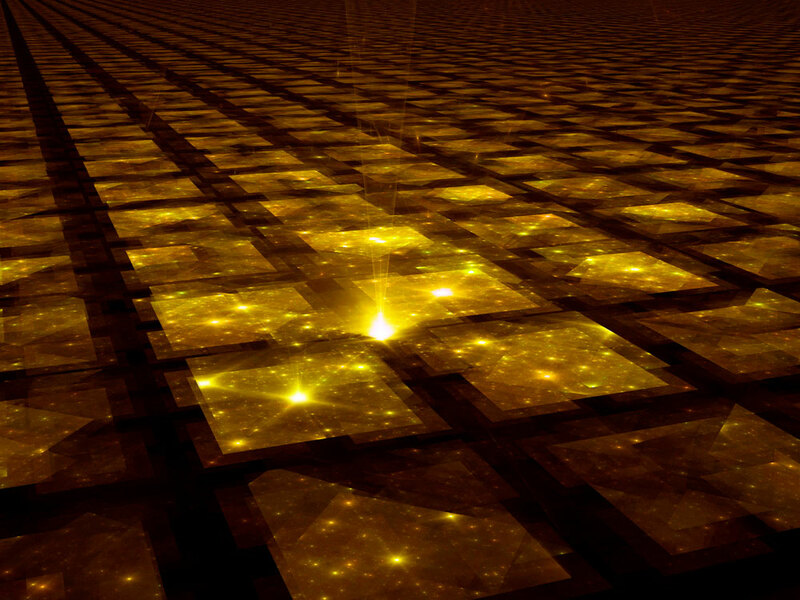 As the details of the mechanism that is our universe became more numerous, it became apparent that we needed to present these critical bridges to the true Binah reality in a separate article, which will follow shortly. It also became apparent just how critical these revelations are. Stay tuned. 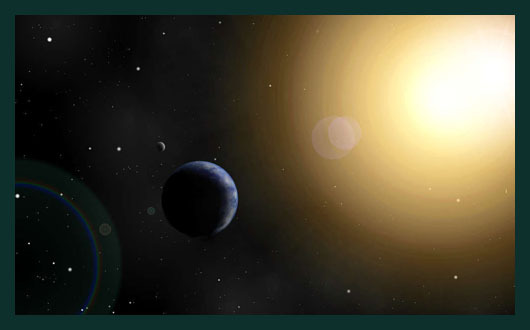 In our next article we will show exactly when the dawn of time began and how we can blow past this event horizon with connections already found in the Torah and our siddurim. The rigid structure of our solar system made our world a wonderful and protective incubator in which our population has grown from 2 individuals to 7.6 billion people over the last 5778 years, yet it also made it a prison. We are looking out from this prison, not in. We are on the inside looking out through the numerical bars. Do you agree it is time we break out of this contrived prison of physical limitations? Do you want to escape to the limitless realm of unbound possibilities, Binah. That is what awaits us outside these tall fixed walls. Author Jeffrey MeilikenPosted on December 10, 2017 Categories Kabbalah Secrets, RevelationsTags 1/3, 10 commandments, 23.4, 26, 27.3, 42, 42 Letter Name2448, 5778, 666, 72, 72 Names, 90100, binah, candles, channukah, cube, earth, echad, hypercube, jubilee years, moon, One, One Day, Shema, Shema Prayer, Sun, Tetragrammaton, tree-of-life, Yesod, YHVH19 Comments on What is Time? The deeper the secrets, the more important they are. The Shema Israel prayer is the most well known and widely recited Jewish prayer, yet most people recite it without a clue to its many secrets and the power that these can unleash. In this series, we hope to change that and fulfill my teacher’s wishes that we make them available to everything in order to help bring about the tree-of-life reality, the world beyond illusion. In Part II we’d like to continuing revealing the secrets about the initial 6 word refrain that begins the prayer. “Hear O Israel, the Lord our God, the Lord is One” — is perhaps the most famous of all Jewish sayings. The value 50 is kabbalistic code for the sefira/dimension of Binah, (also know as the 50 gates of Binah). Binah is what we consider as Heaven to our Earth. 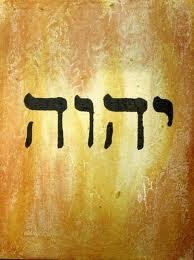 Then the 6 dimensions between them, corresponding to the 6 words of the Shema, is the ladder that we climb to reach it. The technology embedded in these 6 words is designed to elevate our prayers and consciousness to the upper sefirot (dimensions), to Binah. Now to shift gears a little, please note that Sum of complete value of the 6 words equals 1345, or 1000 (Keter, representing completion and the highest sefira) plus 345, the numerical value of Moses, who drew his energy from Da’at of Imma (Binah), a level none of us can. Moreover, while he first two words (Shema Israel) represent the Torah’s last two words, the full verse has half the numerical value of the Torah’s first verse, tying the Torah together as an endless circle, just as it is meant to be. Meanwhile, the initials of all 6 words sum to 332, or 333 (utilizing the kolel of 1, as in the 3330 years, or 66.6 jubilee (Biblical 50-year period) years, from the end of the 1st exile and the reception of the Torah in 2448 to the year of prophecy and the end of the final exile in 5778 (2018 CE). OK, so that might be a stretch except that the total gematria of the 5 words of the verse is 577, plus the word Israel, the word that ends the Torah cycle. And according to the tzaddikim of blessed memory, we are in the final decade, 5770, leading up to the manifestation of Moshaich Ben David and the final redemption (geula) in 5778. This will occur in Israel as the exile will have ended. Referring to the portion of Chukath that we discussed in our article “The Book of the Wars of the Lord,” the act of Moses striking the ground twice instead of following G-d commandment “to speak to the cliff (rock)” we noted that the value of that phrase was 848, or twice that of Mashiach Ben David (424). And also that the reason Moses did that was to shorten the time span of the arrival of the Moshiach by half, from the 5778 years, as denoted by the tzaddikim, to 2889 years, which is the midpoint in King David’s life, because Moses knew how strong the negative side would be today and how difficult it would be for us to overcome it. 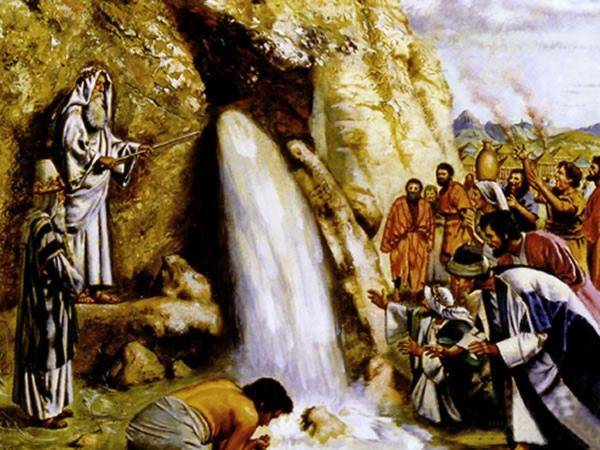 Furthermore, the Torah hinted of this in the words “water from the rock,” which was what came directly from his action, in that this phrase’s numerical value is 345, that of Moses, whose completed spirit it is said will be our redeemer, our Moshiach, in the end of days. We’ve drifted from the Shema, but for a purpose, but first, we need to tie all this into pasha Vaethchanan, where the Shema is found, and which starts off with Moses praying 515 times to enter the promised land in order to bring Moshiach once and for all. We’ve discussed this in prior articles about his obeying G-d’s request of him to stop at 515, when the 516th time would have achieved his desired result, so we’ll only point out that 848 – 515 = 333, as in the initials of the 6 words of the Shema and as in the 3330 years that will transpire from the Exodus from Egypt and the reception of the Torah at Sinai when we were first offered the Tree-of-Life reality to the year 5778, when Rav Yehuda HaLevi Ashlag (HaSulam) of blessed memory and tells us we will next be offered that opportunity. In the Torah portion Vaetchanan, we find a clue linking the final redemption prophecies of (Deuteronomy) Devarim chapter 4 with Moses’ pleas and his actions of striking the rock twice on our behalf in order to bring Moshiach earlier than the proscribed divine time frame in that this is the 515th chapter in the Torah. Furthermore there are 4 phrases within this chapter of numerical value 848, including one at Devarim 4:40 “A long time in the land that God your Lord [is giving you for all time],” but we’ll get into Moses prophecies a little later. In this case the word value 50 is coupled with word for “the time” or “the days” h’yamim (HYMYM), and with the kolel of 1, it has the numerical value of 666. Thus, together, they give us the equation 50 x 66.6 jubilee years= 3330 years, which, as we’ve said, is the exact period of time from the first exodus and the reception of the Torah at Sinai when the tree-of-life was last offered to us in 2448 to the year 5778, which the tzaddikim have long known will be the next cosmic window for the Tree-of-life reality. Nevertheless, in that same verse, Devarim 4:40, we also find that the full phrase “I am presenting to you today, so that He will be good to you and your children after you. Then you will endure for a long time in the land that God” has the numerical value 5777, and is only one of 13 phrases in the Torah with that value with the number 13 being the value of ahava (love) and Echad (one) as in “G-d is One” found later in this portion. Echad (13) is not only the last word of the 6 words of verse, but teh 2nd half of the Shema + Echad equation that = 424, Moshiach Ben David, as mentioned in our earlier Shema articles. But back to the word Shema, through its connection to the value 50, it also serves as the link between Zeir Anpin and Malchut. In that the initials of the last two sefirot have the numerical value of 10 and 40 respectively and also form the word for Sea (YM). If you look at the 5 sefirot of central column of the Tree-of-life you’ll see the initials of the upper 3 of them (CDT) equal 424, that o Moshiach Ben David, and the bottom 2 are Yud and Mem, 50. The 6 words that initiate the Shema Ysrael are thus designed to help align us with the central column of the Tree-of-Life in order that we can help bring out and welcome Moshiach Ben David in our lifetime. If there is one prayer that ALL (kol) Israel says it is the Shema Ysrael. Let it be with the consciousness to bring Oneness and Moshiach. Part IV of the Shema Ysrael will follow shortly, helping to fulfill my teacher’s wishes.